Dr. Sean W. Mulvenon is a professor of educational statistics at the University of Arkansas where he also serves as the Director of the National Office for Research on Measurement and Evaluation Systems (NORMES). 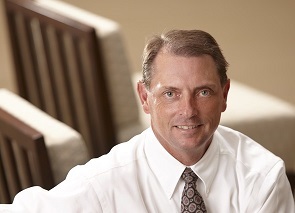 He has been a faculty member at the University of Arkansas since 1995 and has held the Billingsley Chair for Educational Research and Policy Studies (2004 – 2009), served as an Assistant Vice Provost for Research (2008 – 2010), and currently serving as the Director of Research Assessment and Promotions for the Vice Provost for Research and Economic Development. Dr. Mulvenon has 54 refereed authored or co-authored publications, over 200 national or international presentations, and he has received over $16 million in external funding during his academic career. His areas of expertise include growth models, large scale data modeling, and educational assessment models. During the last 15 years he has used extensively used this expertise to improve K-12 and higher education data quality and modeling in the U.S. He has developed data and assessment systems, including the design, data functionality, assessment models, and online access (private and public) at the school, district, state, and national levels. He completed a 31-month appointment as a senior adviser to Deputy Secretary Ray Simon at the U.S. Department of Education in Washington, DC. As a senior adviser he designed internal data systems, evaluations, and conducted research models in support of proposed educational policy initiatives at the Department.